Climate and weather play an important role in viticulture. While weather can change in a short period of time, like minute-to-minute, hour-to-hour,… climate represents the average of the weather over a period of time. Therefore, the weather is the condition of the atmosphere over a short period of time, while climate represents the weather pattern over a long period of time. While vineyard management practice depends on the climate in which the grapes are grown in, the weather is dictating winegrower’s daily work. Adequate sun, heat, and water during the growing season, and enough cold during the dormancy phase are crucial for healthy growth of vines and production of premium quality grapes. Grapevines thrive best in climates with long warm summers, and rainy winters. Warm weather during the growing period enables grapevine to flower, fruit set and ripen. On average, grapevines require about 1390 to +2220 growing degree days (temperatures above 10°C (50°F)) in order to ripe properly, depending on the growing region and vine variety. Grapevines also need water in order to thrive. In some areas and climates, there is more than enough rain for the vines to survive, while in other regions, vines needs to be irrigated. How much water grapevines need depends on several factors, such as climate, heat, soil, wine variety, etc. Apart from already mentioned climatic factors, also wind, humidity, atmospheric pressure, and sunlight have effect on grape growth. 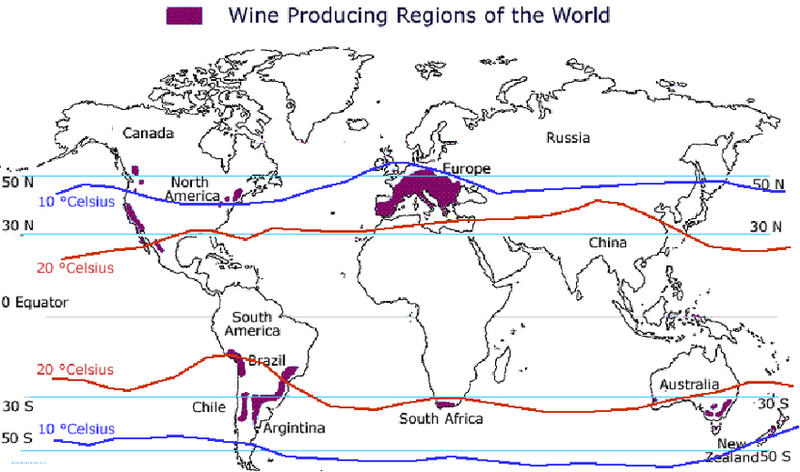 Photo (source: Thirty Fifty): Most of the grapes for wine production are grown in climates located between the 30th and 50th parallel on the northern and southern hemisphere. Meso-climate: this is a climate in a specific site determined by altitude, ocean proximity, prevailing winds, water, etc. Micro-climate is a climate within the vineyard canopy on which winegrowers have the influence with vineyard management practices. 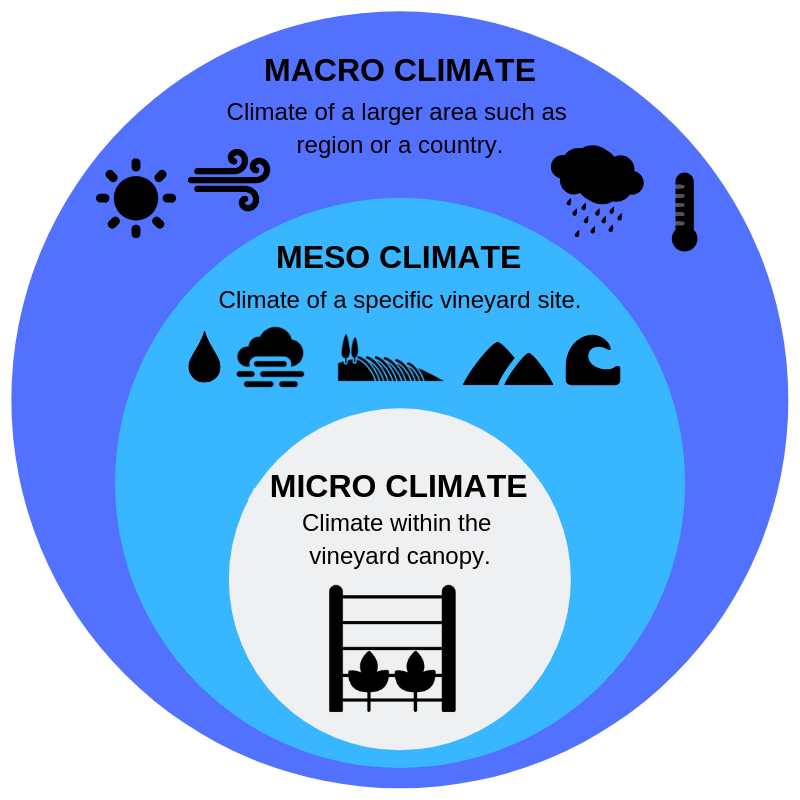 Macro-, Meso-, and Micro- climate from the vineyard perspective. Why winegrowers should pay attention to climate data and weather? Climate determines the vineyard management practice. It’s should be in the best interest of every winegrower to gather long-term climatic records of a specific site, in order to decide whether to establish vineyard or not, determine row-orientation, choose the proper variety, and potential wine products. 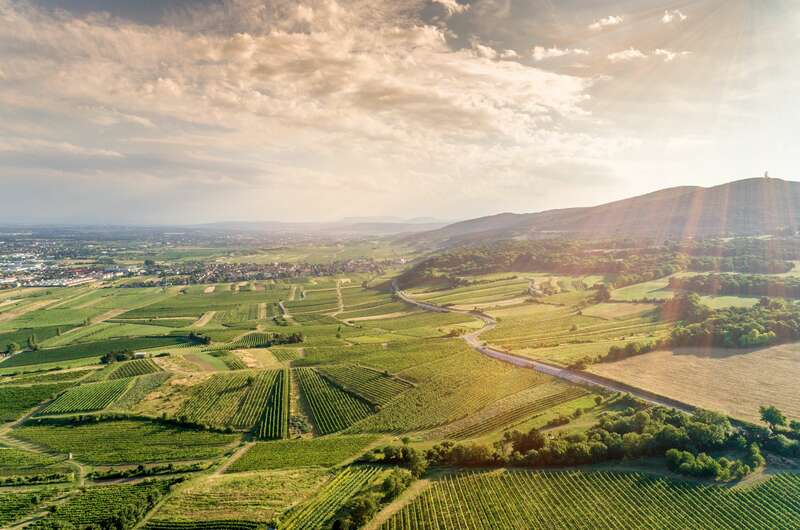 While on the other hand, long-term weather data can also help better understand trends and adapt vineyard management practices based on climate changes. The key observations of the atmosphere that help predicts the weather forecast also dictate work to winegrowers – temperature, humidity, precipitation, air pressure, wind speed, and wind direction. Real-time weather measurements are important for decision-making regarding the work activities in the vineyard at a given moment. For example, spraying with certain plant protection products works best in a certain temperature range; sulfur works best with temperatures above 15°C (59°F), while copper products can burn parts of grapevines if used at too low temperatures. 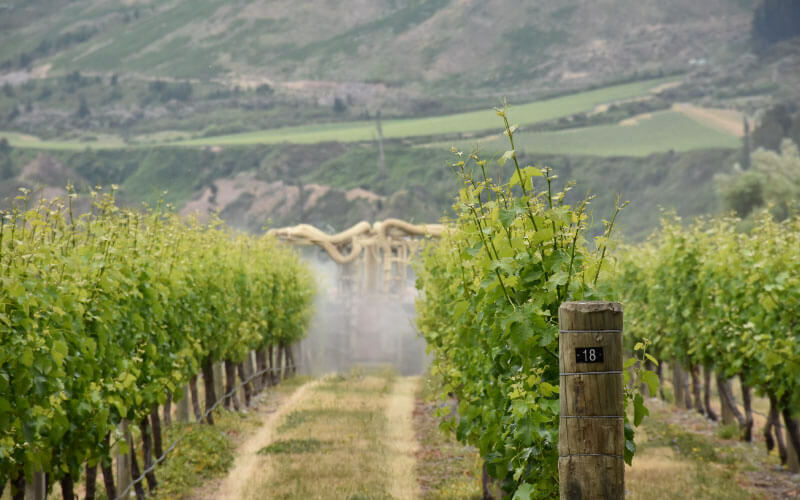 Wind is another weather element that needs to be monitored in real-time in the vineyard, as it helps winegrowers to decide whether they are going to spray at planned time or not, due to wind speed and direction. The same goes for evapotranspiration data and rainfall in order to determine quantity of water for irrigation. While weather information for the past few days (near-real time) is needed for the tactical management of the vineyard. For example to determine the best spray timing against certain grapevine disease and pests. Temperature, humidity, precipitation, and air pressure are the key to forecasting grape diseases development with precision. Another important element of observing weather data is weather forecast, as it determines winegrower’s work. Winegrowers often rely on 1 to 7 days weather forecasts in order to plan vineyard work activities. 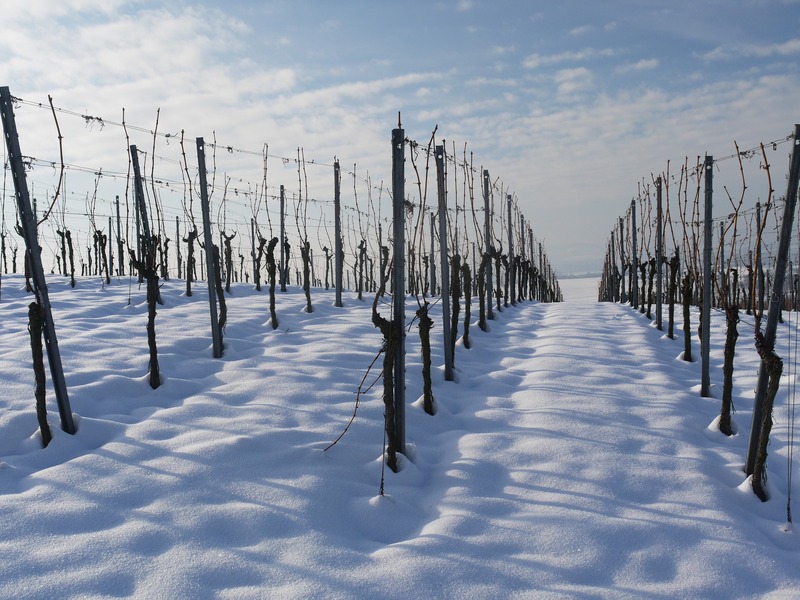 For example, when there is a frost alert, winegrowers know they must turn-on wind machines, or use any other frost protection method to protect vines. Same holds true about spraying against certain diseases prior to the rainfall, adjusting the irrigation based on rain participation, etc. No matter the weather – sun, wind, rain, or snow – nobody can escape from it, but with a good weather forecast, everyone can prepare for it. But then every once in a while, weather forecasts disturb winegrowers, because they are not always 100% accurate. 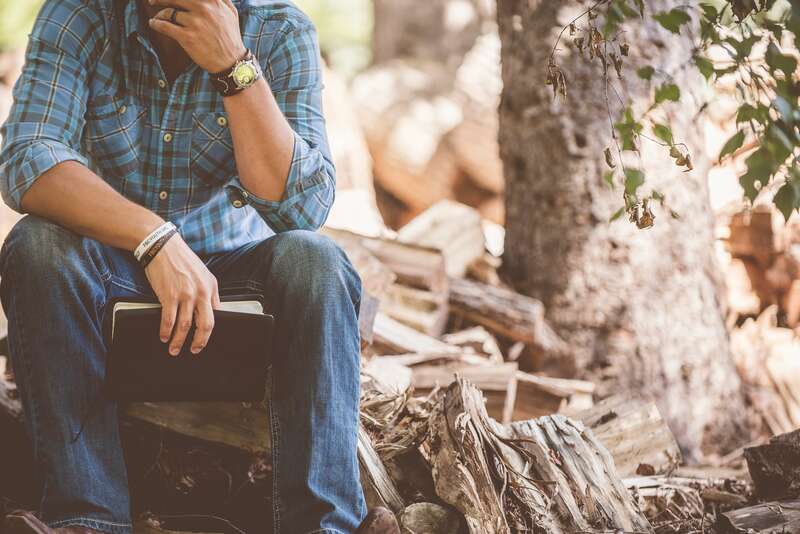 One of our customers told us once that they check 5 different weather forecasts for the region and once 3 of the weather forecast are forecasting the same weather, then they know with quite a good factor of confidence, what the weather is going to be like – and plan their work according to it. There are different reasons why weather forecasts are not always accurate, and one of them are the climate changes. The knowledge of weather forecast and its’ mathematical models are based on past long-term weather observations. And since those patterns are changing, the models must change as well in order to assure the accuracy. Due to climate changes, the temperatures are rising, the number of extreme weather events is increasing (like strong winds, hurricanes, drought, heat waves,…), as well as the risk of frost during critical phases of grapevine development is getting higher. It’s somewhat expected that these weather trends will continue. Winegrowers will have to adapt to those changes sooner or later, if not already. And no adoption can be made without the weather observation and recording over a period of time. 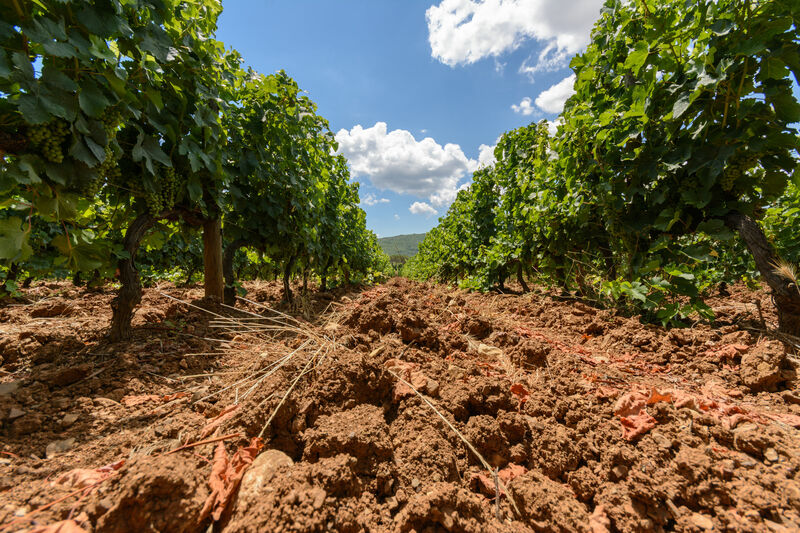 It’s important to monitor the weather in the vineyard, not only to be able to adapt to climate changes in the long run, but also to be able to act on daily erratic weather events. Luckily new weather instruments have been developed to help winegrower with a vineyard (micro-climate) weather monitoring and recording. 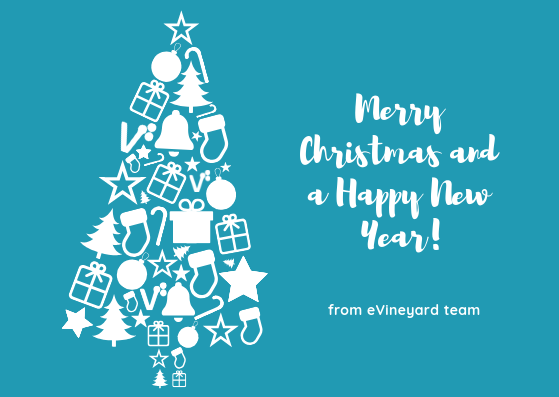 Sophisticated software solution like eVineyard together with sensor devices, placed in the vineyard, help winegrowers with crunching data and decision making. For example, target pests and disease for treatment, calculating irrigation timing, help to decide which grape variety to plant, help to determine the timing for certain canopy management activities, determine harvest timing, alerts winegrowers on possible frost events, etc. All the data are accessible from a computer, tablet, and smartphone and can be easily compared over the years. 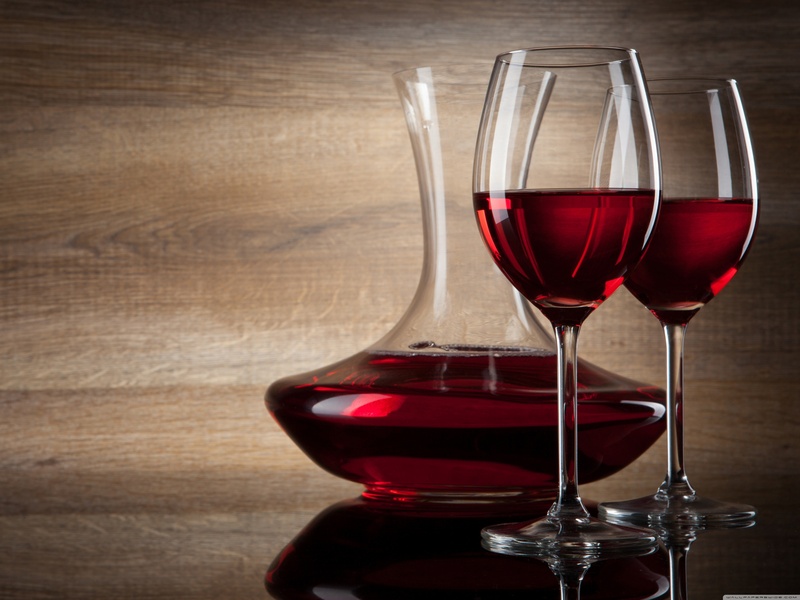 And the best part is that eVineyard solution is available to every winegrower – small and big. So why would winegrowers want to have their own weather station, and not simply use data from the closest local weather station? First, because the closest weather station is usually not that close and therefore the micro-climate near local weather stations is often much different than the one in the vineyard. Having micro-climate weather data from different locations (plots) in the vineyard enable winegrowers to manage each plot in a different way, which is particularly important in a diverse terrain. The fact is that winegrowers have the most influence on the production of the desired flavors and aromas of grape wines by adjusting the micro-climate in the vineyard canopy with proper vineyard management practice. Second, weather information from in-vineyard weather station or sensor can be used as solid documentation for insurance claims. Third micro-climate data help better understand vines and quality of grapes during each growing season. As well as help with adjusting to climate change. And fourth, if you use eVineyard system together with sensor devices, the system will help you with crucial decision-making based on weather data from your vineyard, your actual work in the vineyard, your vine variety, as well as your vineyard characteristics. Something that the closest weather station cannot do, as it doesn’t have any data about your vineyard and your work activities. Observing and recording weather data is the key to produce high-quality wine grapes on a long run with adjusting vineyard management based on real in-vineyard micro-climate data. What’s the difference between weather and climate? By NASA (online). Climate for Growing Grapes. By Jeanne Grunert at Gardener (online). Climate, Weather, and Instrumentation in the Vineyard; Viticulture, University of Nebraska-Lincoln. Climate categories in viticulture; Wikipedia (online). Macro and Micro Climate Climate; University of Strathclyde’s Energy Systems Research Unit ESRU’s (online). Sturman, A. et. al. (2018). Development of advanced weather and climate modelling tools to help vineyard regions adapt to climate change. Ministry for Primary Industries, MPI Technical Paper No: 2018/23.